They want to know how to make money off Instagram and turn the channel into an effective ROI driver. Keep on reading to learn how to make money on Instagram – whether you’re a brand, influencer, or regular user. Instagram is on a straight path to becoming the #1 social media platform and, as such, also the best social network to generate profit on. As a smart brand, influencer, or user, you can tap into these features to make money off Instagram. Do you have all four qualities? Great! We can now move on to explaining how to make money off Instagram. How to Make Money off Instagram as a Business? For businesses, making money off Instagram is mostly about maximizing conversions on the platform. 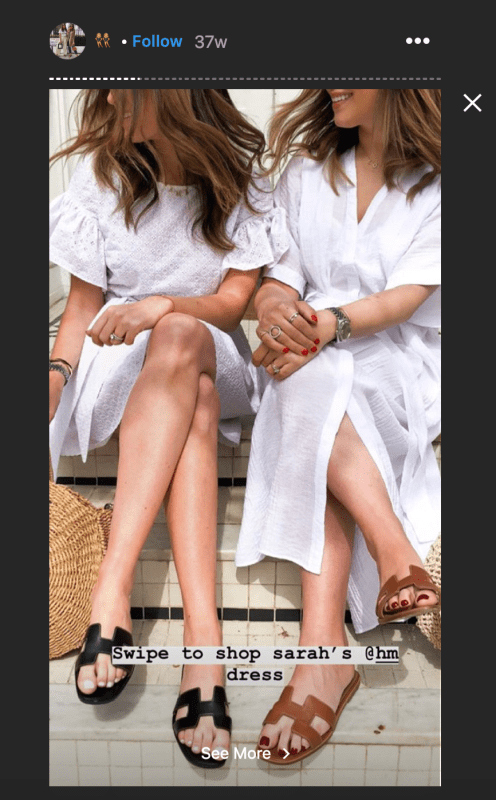 Instagram Stories ads are crushing it when it comes to increasing the return on investment and bringing tangible income. In a nutshell, if you want to maximize both your advertising ROI and business opportunities in a cost-effective way, running Instagram Stories ads is the way to go. Instagram has a huge impact on consumers purchase decisions. According to the study by Yotpo, 72% of consumers declare seeing an Instagram post increases their chances of buying, and 30% have bought a product after they saw it on Instagram. 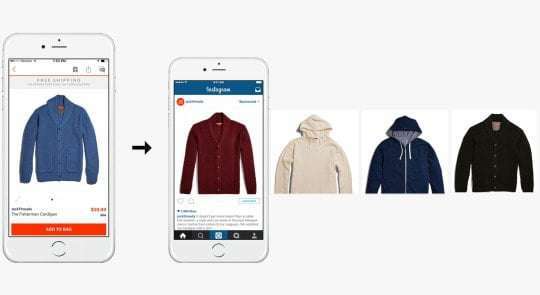 You can use Instagram’s influence on customer buying journey to increase your revenue. Use Instagram ads to retarget users who have previously visited your website. This way, you’ll be able to reach users who you know are interested in your business – and reach them on a platform with a huge potential to increase users’ buying intent. The combination of these two strong factors is bound to increase your sales through Instagram! Instagram’s new business feature, Action Buttons, is a great way to convert your audience on the platform. The buttons enable your followers to quickly book tickets, start an order, reserve a table, and more, without having to leave Instagram. Because the Action Buttons make it super easy for people to interact with businesses, they can become a powerful conversion driver – at least for those who have access to the feature. Instagram is still rolling out the feature to different companies, so keep your eyes peeled, and jump on the Action Buttons as soon as they’re available – they’ll surely skyrocket your revenue! Instagram is arguably the best, most profitable social media platform for influencers. 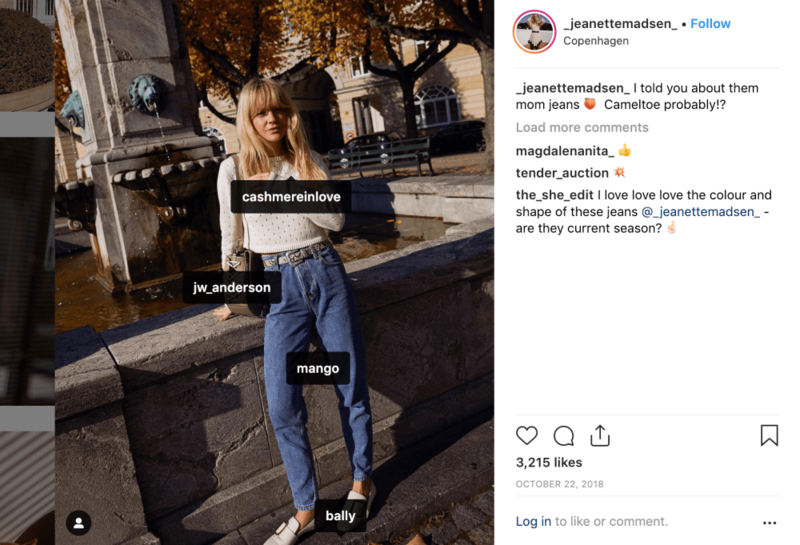 To be able to make money off it, influencers need to connect with brands first and, later, focus on creating compelling sponsored content. If you’re an influencer wishing to make money off Instagram, there’s one thing you need to zero in on: finding the right business partners. There are two ways how to do it. First, you can make a list of brands you’d like to collaborate with and send them a pitch. Sounds interesting? Read more about delivering powerful pitches to brands in this guide. Second, you can set up a profile on one of the many websites connecting influencers to brands. Make sure to spruce up your profile by highlighting the topics you cover, engagement you generate, and brands you’ve collaborated with. Sponsored content is something that almost all influencers are doing. The thing is, not all of them are doing it well. The key to creating great #SponCon is making it compelling and effective in driving conversions while also ensuring it’s aligned with your regular content. Perfect your CTAs. Keep your CTAs short, sweet, and in sync with your tone of voice. Also, include them at the very beginning of your post captions to maximize their visibility. Make it easy for your followers to purchase the products you’re advertising. Many influencers get a commission for selling the products they’re promoting. If you belong to this group, it’s important that you make buying the items you feature in your posts as smooth as possible. One of the best ways to do it is to tag brands in your content. Tags enable your followers to quickly identify companies behind the featured products and visit their Instagram profiles or eshops. Another tactic that can help you boost sales is including links in your Instagram Stories. Adding links to your Stories allows your followers to quickly visit company websites, online stores, or blogs – all in a single swipe. And because it’s so easy to send your audience where they can make a purchase, the odds they’ll convert increase – and so do your chances to make money off Instagram! As an influencer, you have no shortage of appealing images you post on your social media profiles. But it’s likely that you only use your visuals once or twice before moving on to creating new ones. Although widespread, this approach surely isn’t the most beneficial. To make the most of your images, consider selling them on marketplaces such as 500px, twenty20, or Fotomoto. This way, you’ll be able to make a quick buck out of all the time and effort you invested in producing your images. Sounds interesting? Check out this guide for more info on selling your Instagram photos for the best price. If you’re a regular Instagram user, your ability to make money off the platform strongly depends on your number of followers. 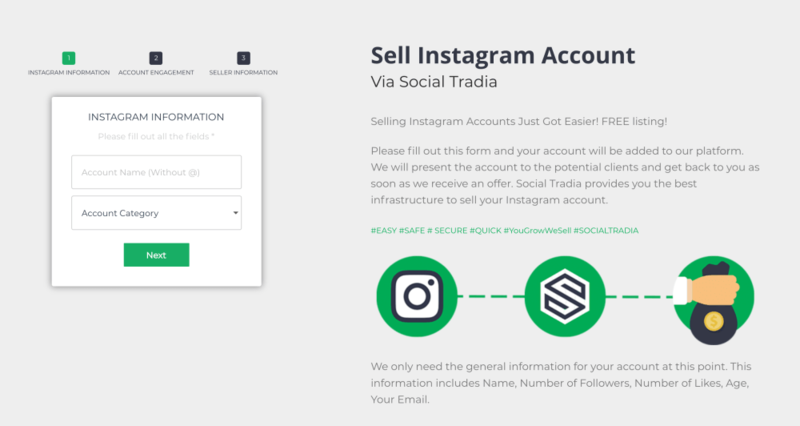 Sell your Instagram account. Even though this idea might seem controversial to some, selling (and buying) Instagram accounts is actually a common practice on the Internet. Many businesses that are new to social media marketing don’t want to invest resources into building their social profiles from scratch. So, to speed things up, they are looking to buy established accounts with a sizeable audience – and that’s where you can step in. Do you meet all the conditions? Great! This means your account is likely to attract potential buyers that you can find on marketplaces such as Social Tradia, FameSwap, or ViralAccounts. Look into affiliate marketing opportunities. If selling your Instagram account is not an option, you might want to consider leveraging your following for affiliate marketing. The first thing you need to do here is to find companies offering attractive affiliate programs. Ideally, these companies’ offering should be aligned with the theme of your Instagram content, so every time you mention them or link to their web, it appears natural and authentic. Where can you find potential affiliate partners? Check out this list of 67 best affiliate programs by Forex Referral. Then, add the affiliate link to your bio to maximize its visibility. If your audience is over 10,000 followers, you can also include the link in your Instagram Stories. The last step is increasing traffic to your Instagram profile, so more people get to see and click on your link. Some of the best ways to do it are using relevant hashtags, engaging with other users’ content, and posting at optimal times when your followers are most active. For more info on affiliate marketing on Instagram, check out this comprehensive guide from Online Affiliate World. 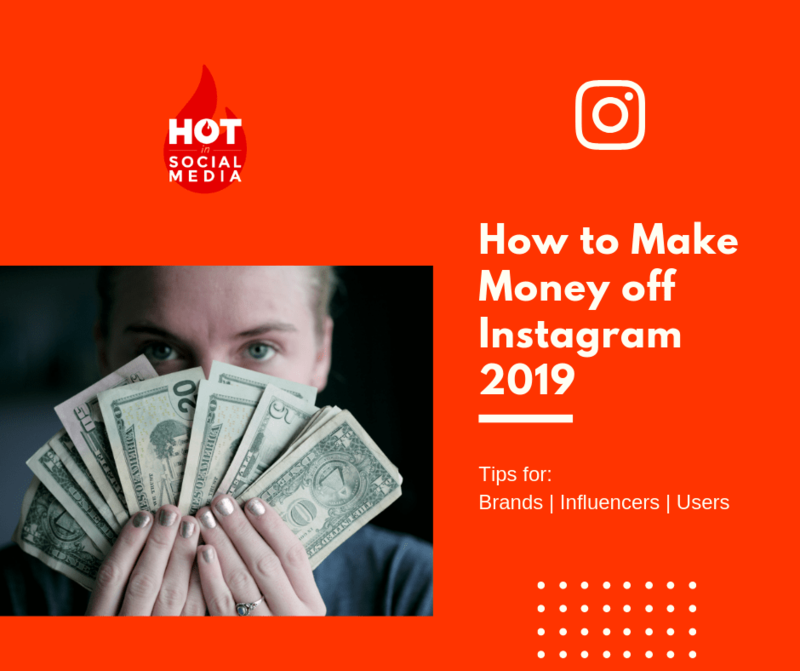 Instagram is a great place to make money online, whether you’re a brand, influencer, or user. All you need to do to generate profit on the platform is know the right tactics – which is something we hope this article helped you with. Do you know of any other effective ways to make money off Instagram? Spread the word and let us know in the comments!